LLLP is partner in a new project called TaMPADA for “tracking and monitoring the progress of adult learners”, which kicked-off on November 21-22 of 2018 in Chesterfield, UK. The 30-months project will be developed by a consortium of five partners from five European countries (Greece, United Kingdom, Belgium, Sweden and Slovenia). TaMPADA aims to develop an outreach mechanism for tracking and monitoring long-term outcomes of disadvantaged learners’ participation in adult education. Said differently, AE providers are interested on monitoring and tracking mechanisms that would provide them with useful data on what adult learners do once they have completed a training or a course in their institution. Do they have better job opportunities? Do they pursue further education? Do they receive better remunerations? The project aims to answer such questions and allow the benchmarking of adult education providers strategies to that regard. Three project partners are AE providers or network of AEPs. Partners met to discuss all outputs of the project, what is their rationale, how they connect between each other and what will be the first tasks to implement them. The project activities will start by the organisation of focus groups with relevant professionals (field researchers, skill providers, AE centers, associations and/or policy-makers) and some desk research on open public administration data availability in partners countries. The result of this research will be the assessment toolkit for disadvantaged learners’ lifelong and lifewide progress. 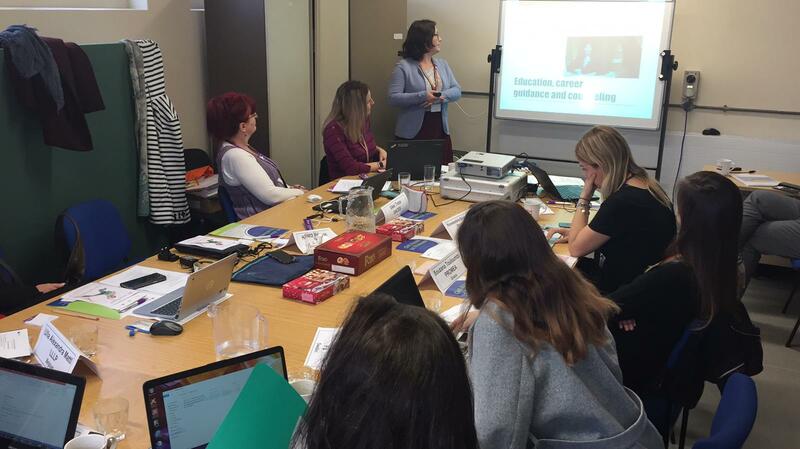 LLLP is excited to be part of this new project which will bring new evidence of the relevancy of fostering the participation to lifelong learning for disadvantaged learners. The project is coordinated by the Derbyshire County Council (UK), which federates many AE providers in the Derbyshire County. The other partners are PROMEA (Greece), Folkuniversitetet (Sweden), AZM-LU (Slovenia) and the Lifelong Learning Platform (EU).